They say it is always good to have a second pair of eyes. Eyes that see differently ….. from a different perspective. I noticed the photographer kept opening doors. Hmmm, I thought, for more light? The photographer stated that you need to see what is beyond the doors. 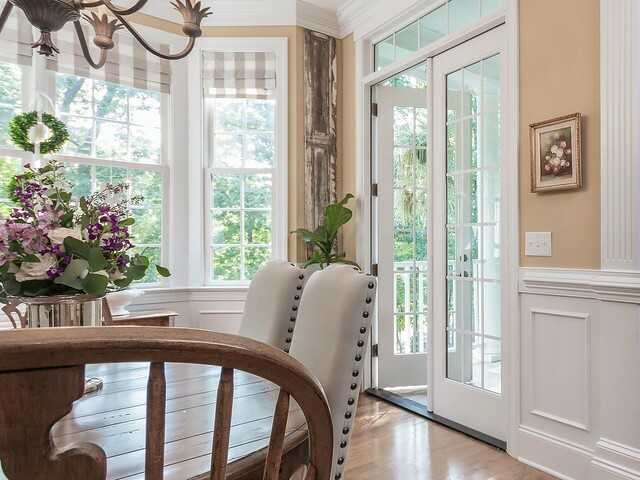 The french doors in the dining room which leads out to a porch. that lead into the master bedroom. that is above the lower, which I call my veranda! my hubby’s office which I never photograph. I must say that he did take all of his papers off his desk for the photograph!! These rockers are just beyond the doors of his office. Doors opened in the media room. And here is the room on the other side of the doors. since we had the bedroom furniture that was in this room moved to her new house. this is what you see. Come on out and sit a spell. 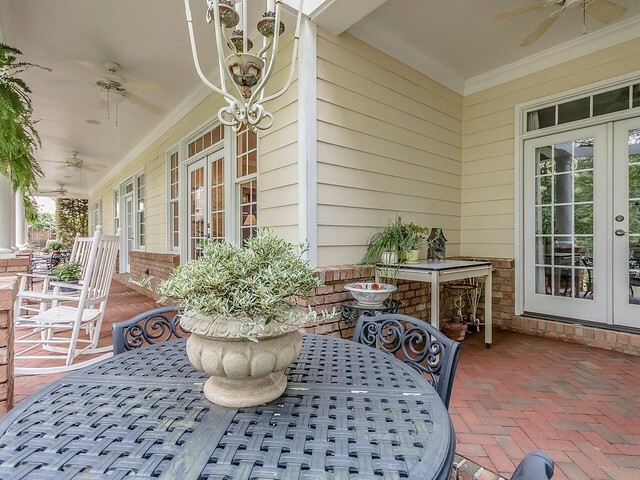 and see the french doors that lead to the upper porch. This is where I feel like I live in a tree house! Hope you all had a great weekend with some of you enjoying a 3 day holiday weekend. I am working on a little project in my sweetie’s room. Hopefully I will have it done towards the end of the week to present it to you. I hope that all those who were in the path of Hurricane Nate are safe and sound. We are definitely getting some rain from it! So many doors that lead to beautiful spaces. The view from the back is like that of a nice resort. Fingers crossed the right buyer comes along. Shirley, what beautiful photos of your home! 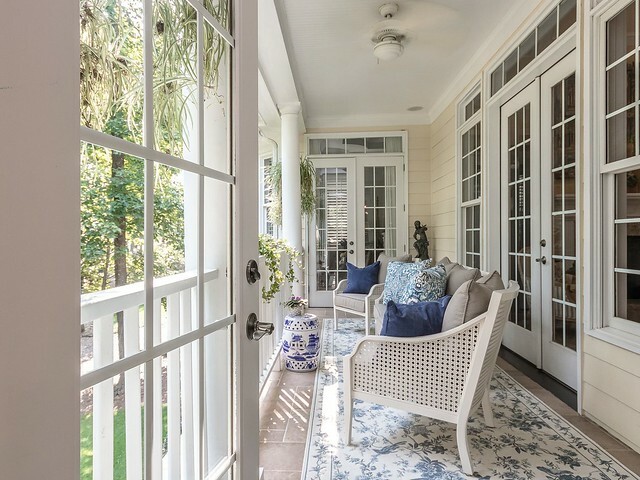 Beyond the doors offers fabulous views…your home is certainly stunning with all the French doors and porches! Have a wonderful day! I love this concept- beyond the doors. What a good photographer- she really takes top notch pictures (of course the subject matter helps too!). 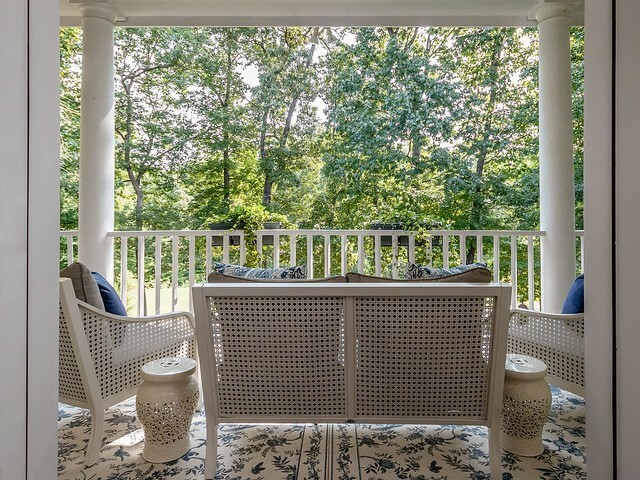 Love the view from the upper porch. Your home is gorgeous and I love the back view! 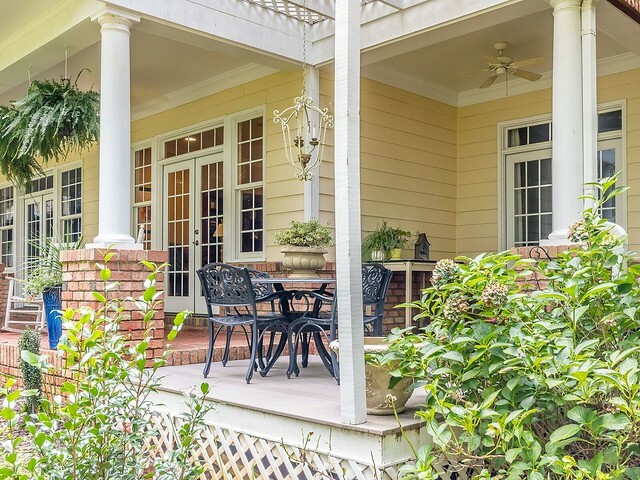 I could sit on that upper porch all day with a good book and a glass of wine! What a grand home…love the views and sitting areas. Just beautiful. Everything is just so beautiful and inviting. so you are to be applauded for the wonderful details that make your house stand out. 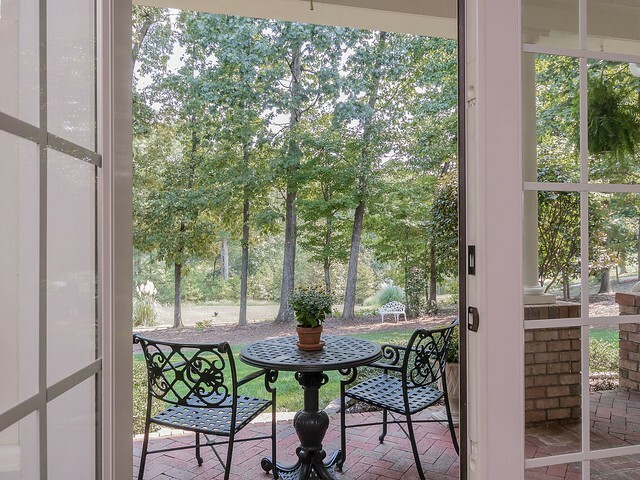 How beautiful, the views beyond the doors and your exquisite home! It really is a showplace. If I had ever been a guest I would sit out on the veranda and never want to leave!!! We got remnants of Nate yesterday and now he is gone:) Beautiful, sunny day today and going to 83! Crazy for Oct. in Pa.!! 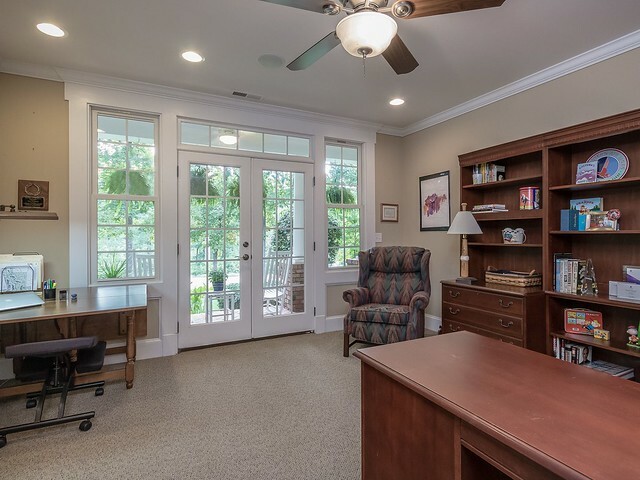 Your husband’s office would be my husband’s dream come true! So glad to have gotten a peek into that room. So glad to peek into ALL the rooms! Shirley, you have one of those homes that while lovely to the nth degree, is very welcoming. It’s light and airy and open and just plain beautiful. You provide so much inspiration through your discerning eye! Love, love, love it. Ditto to all the comments made. I can’t believe you are wanting to sell such an awesome place, but I fully understand the concept of downsizing. Someone is definitely going to purchase a jewel! Shirley, your home is just so beautiful. I know it will sell quickly. The way the spaces open to the outdoors is always a draw for people. 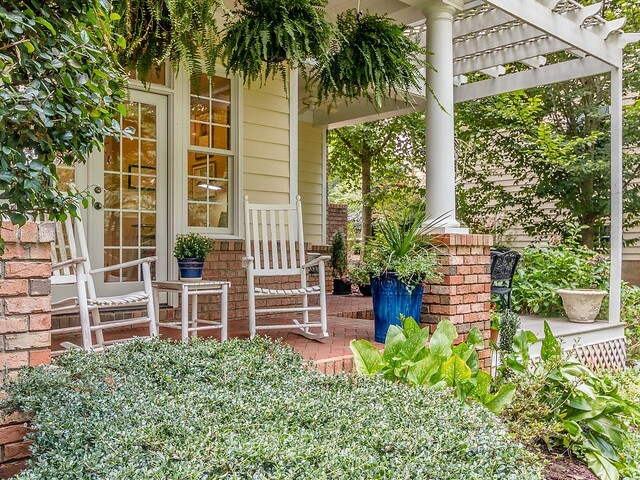 Tell me, what will you do with all of your pretty things when you downsize? Are you already picking and choosing? Loved all the photos of the doors open, especially the one of your sweetie’s room! So pretty! This is a very special home, Shirley. I hope the next owners take as good of care of it as you have! Those porches are all rooms in and of themselves. A lot of work to maintain the clean and beautiful looks you have, but oh, so gorgeous. I enjoyed the shared photos! Hi Shirley, isn’t it amazing the new things that we can learn from a different perspective? I love that. Your home is so lovely and so comfortable the first thing I think of when seeing your pics is cuddling down on your sofa or snuggling down in your beautiful bed. Love all of the colors. so soft and inviting. Your beautiful doors lead to wonderful spaces! We had 3 inches of rain and heavy winds in this area of NC. Power lines were down around us but we had power in this little vacation rental. Beautiful home and all your doors are so lovely. The home has a beautiful personality with loads of charm. You can certainly see the love and care that you have put into it. Hope this finds you enjoying the season. Sandra at Maison De Jardin’s recent post…The Thrill of The Hunt! 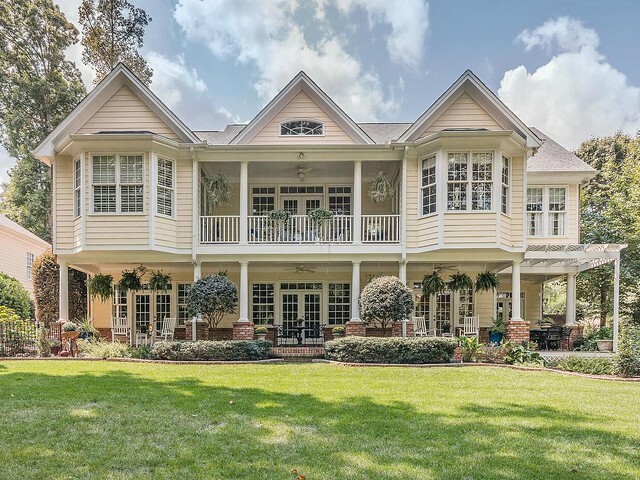 This is a Beautiful home….I would hate to leave but I know what its like to downsize. I love seeing all the French doors open. 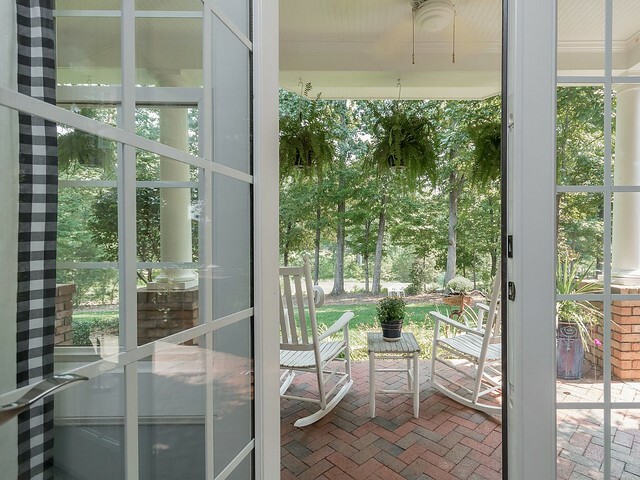 Doors open for cross breezes and hearing nature is just so relaxing! I know your next house will be just as pretty because of your exquisite taste! Shirley, I’m soaking up every last picture of your exquisite home. When I look at your home, I always get this warm, comforting feeling that is not just the eye candy, but also the warmth of the people who live there. 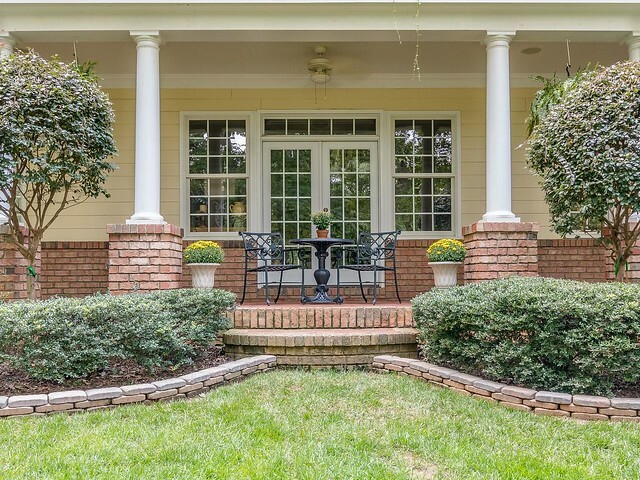 You really gave this home the Shirley loving touch, and I know prospective buyers will feel that as well. 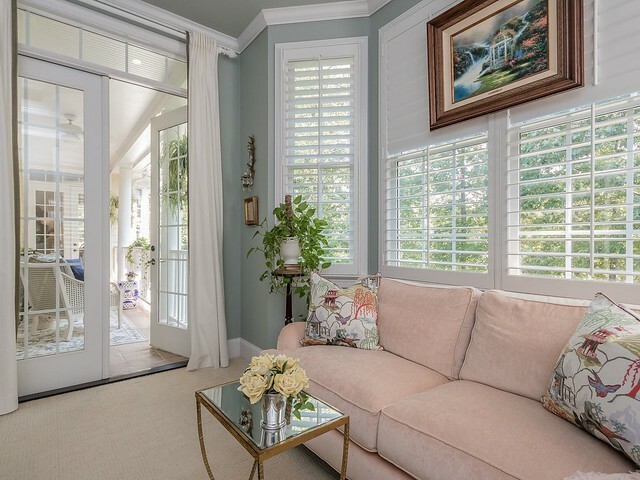 Could you pretty please repeat the wall paint colors you used in your great room and master bedroom… they look like they will work beautifully in our home. We had the tail-end of Nate yesterday, but today is gorgeous. Our maples are just starting to turn. I always feel especially excited from Oct. to Jan. because of all the house decorating I get to do. Hugs! such beautiful photos of your lovely home. 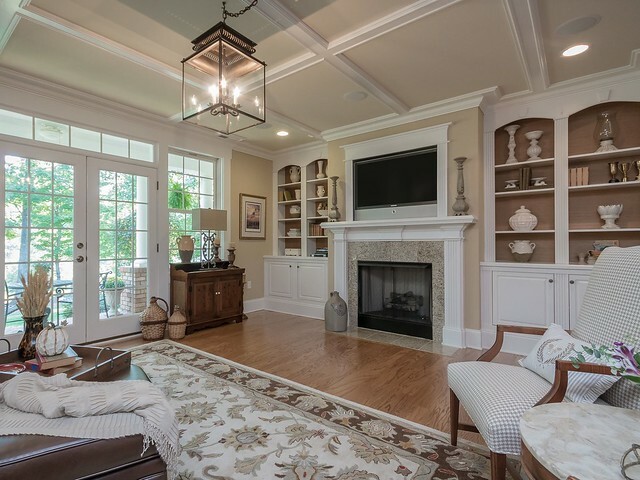 they really emphasize the warmth and coziness that can be found in a large elegant home. 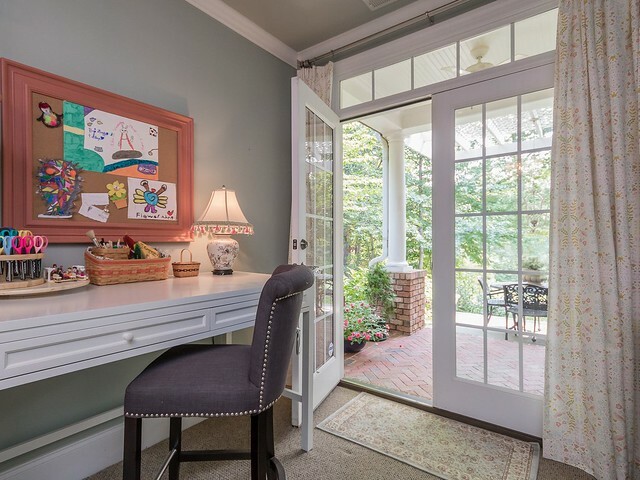 Love the idea of opening the doors to draw the eye outward. I know your next home will be just as beautiful! Oh Shirley…I have said this so many times. I wish lived closer…I would buy your home and move in tomorrow. No more beautiful home can be found in blogland. Thank you for sharing beyond the doors. The outside makes one crave to see the inside. Your blog friends are so lucky to be able to do so. Thank you, Shirley. You never disappoint to inspire. I love your “beyond the doors” views! Tree house living at its finest!